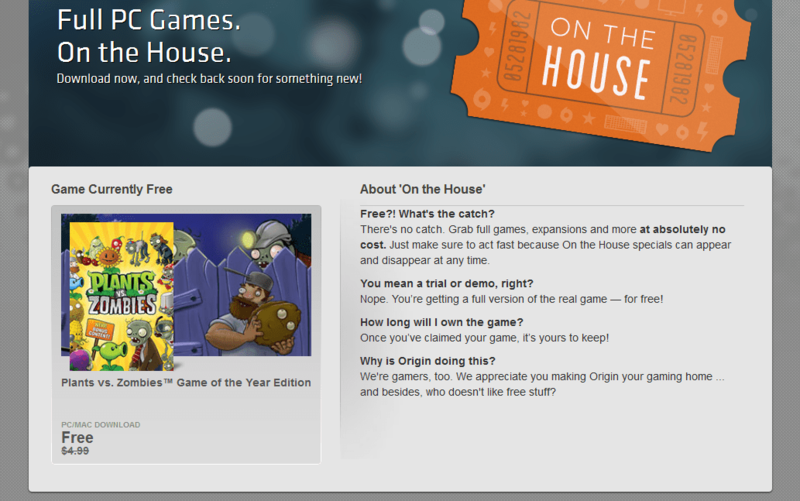 Origin has Plants Vs Zombies Game of the Year edition for FREE on Origins this weekend. Once you get it, it’s yours forever. It’s not like steams free weekends of a game, this is yours, permanently. I personally played this game over and over on my phone. So why not do it on the computer? Get it by clicking on the “On the House” coupon below!